Home / Beyonce / Blue Ivy / Fashion / floral dress / Gucci / mother daughter fashion / BEYONCE AND BLUE IVY TWINNING IN GUCCI DRESSES LIKE NO OTHER. 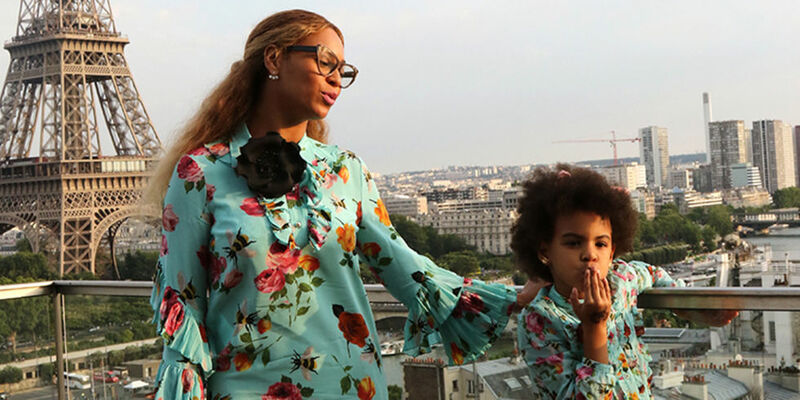 BEYONCE AND BLUE IVY TWINNING IN GUCCI DRESSES LIKE NO OTHER. 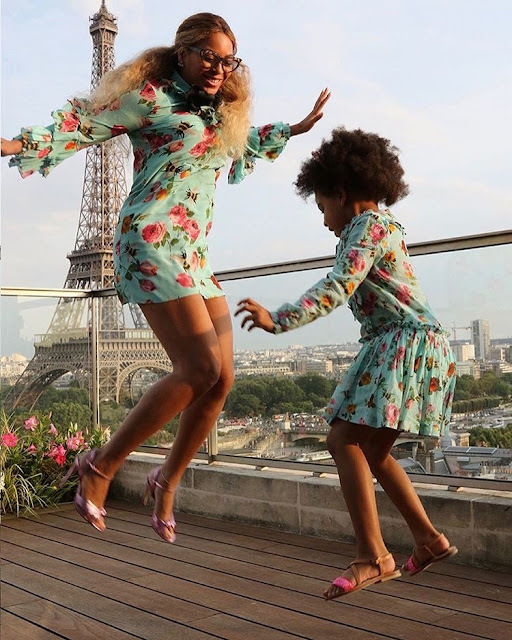 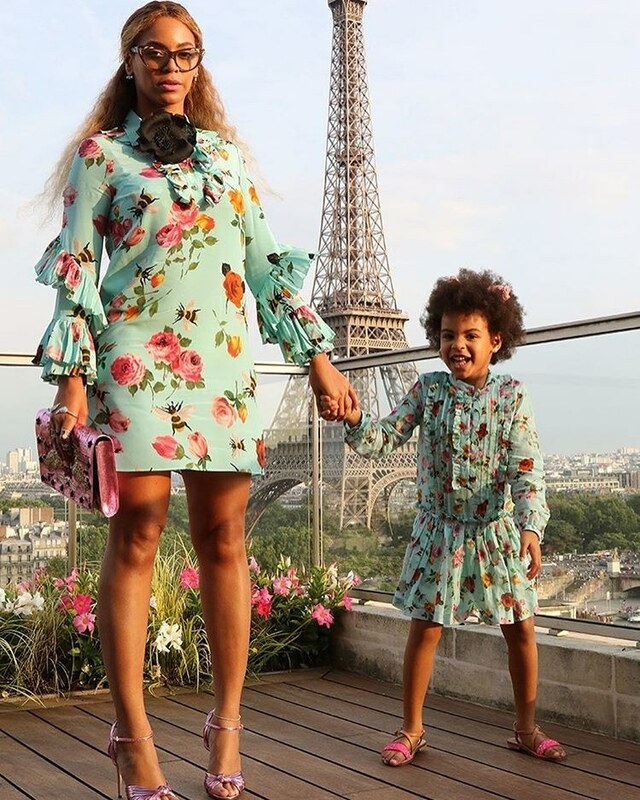 Just recently tuliona Blue Ivy akirock a pink ruffle top nayo by gucci and she is twinning with her mother, the Queen Bey in very cute short floral dresses. 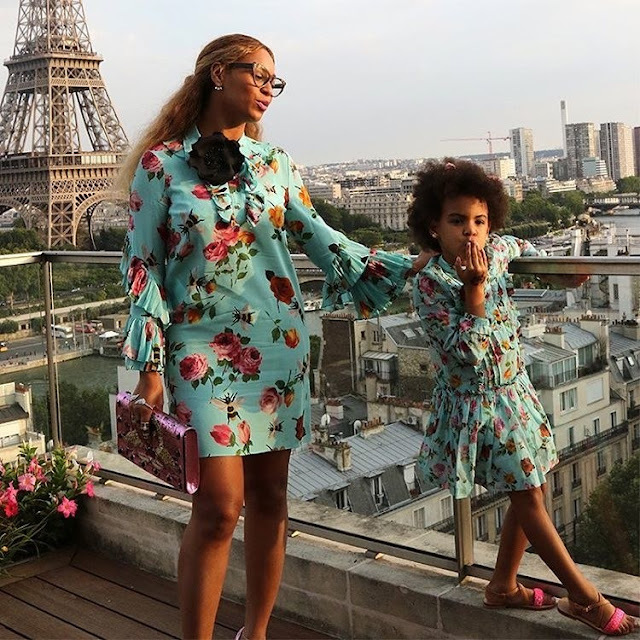 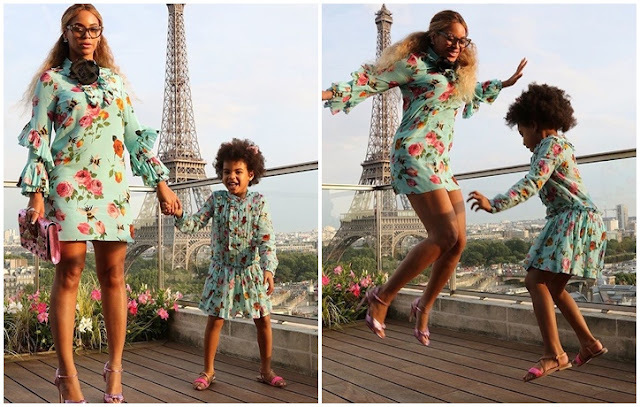 What we love about these ni kwamba it is the actual definition ya mini-me style, Blue Ivy is matching with her mother but she is not wearing exactly what Beyonce is wearing, but the more cute kid version of it.